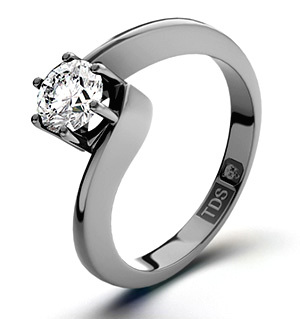 Item UT20-72IXU4Y - A brilliant Leah White Gold Engagement Ring for £1665.00 in 18K White Gold. 0.50CT of G/VS2 quality Diamonds. 14K Y Gold Ouro Fino Rubellite and Diamond Ring 1.32 Ct. Platinum Overlay S S Tsavorite Garnet and Diamond Ring 1.51 Ct.